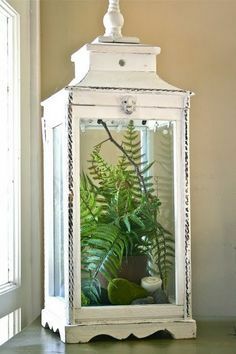 Pitcher plants are a cool type of carnivorous plant that grows great in a terrarium environment. There are actually two main categories of pitcher plants, Sarracenia and Nepenthes. 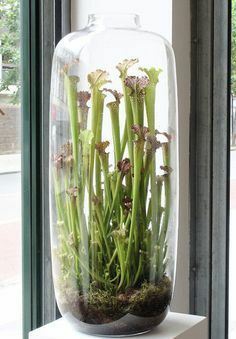 They grow in very different ways, and the Sarracenia type are way better as terrarium plants because they grow straight upwards, giving them the nickname ‘trumpet pitchers’. They grow in large clumps, opening their pitchers directly upwards, ready to catch any unwary insects that get drawn in by the chemical scents the pitchers produce. Sarracenia pitchers are native to North America, with one of the 8 total species of them growing as far north as the northern parts of Canada, which should give you an idea of just how hardy they are. All of the species benefit from a summer-winter cycle, as they are perennials, and after a cold “winter” dormant period, they tend to flower and put out new pitchers. After their active “summer” period, the pitchers tend to die off as the plant produces other leaves to help it make it through the winter. Fewer insects in winter makes it inadvisable for the plants to spent a lot of their energy on carnivorous pitchers, but that doesn’t mean you should worry if your pitchers start to die off – it’s just part of the plant’s life cycle. 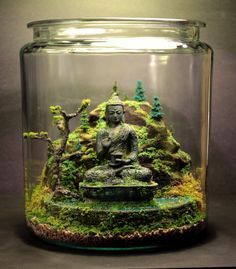 Sarracenia do best in a very damp environment, which means you won’t be able to put them into just any old terrarium project. 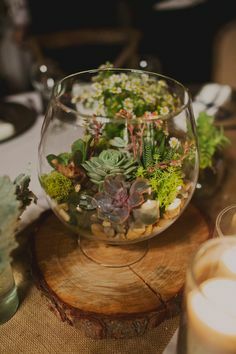 We’ve floated (haha) the idea of creating a bog terrarium filled with plants that thrive in similar environments, and these would be perfect for that project! That being said, they’re fairly easy plants to grow. 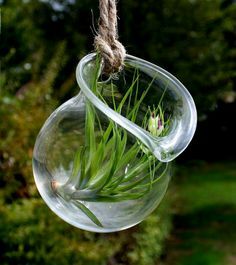 Make sure to only water them with pure, distilled water, because they are extremely sensitive to water contamination. 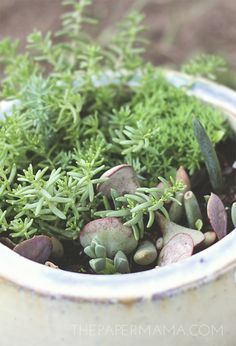 They like bright but not full sun, and require a dormant period in the winter as we mentioned earlier. 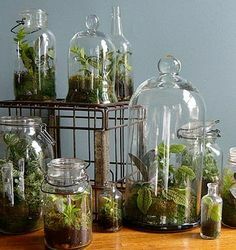 Follow those rules, and you’ll have an awesome terrarium plant! 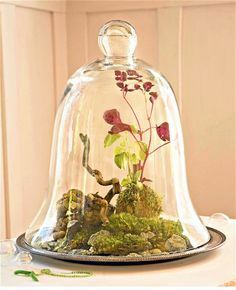 To learn more about pitcher plant terrariums and carnivorous plants in general, check out our full page on them. It’s best not to forage for specimens of Sarracenia in the wild, because habitat destruction has made it very rare. 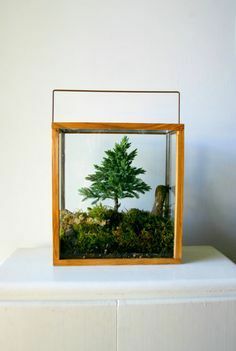 Additional some of the states in the Southern US have strict laws concerning their protection, and no terrarium is worth getting in trouble with the law for! 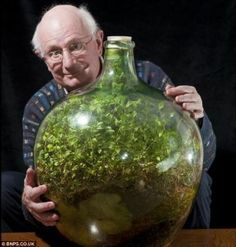 Fortunately, there are so many people that find them fascinating that it’s not too hard to find a horticulturalist who is cultivating them.